The BMW 1 Series’ USP is its rear-wheel drive chassis, something no other small hatchback can offer, and a sign of the firm’s driver-led priorities. The BMW 1 Series’ USP is its rear-wheel drive chassis, something no other small hatchback can offer, and a sign of the firm’s driver-led priorities. But it was also one of the first true premium models in the segment, and has become a familiar sight on our roads. It’s not the most practical, with a small boot and cramped rear cabin, but it has a wide range of engines and body styles to choose from. 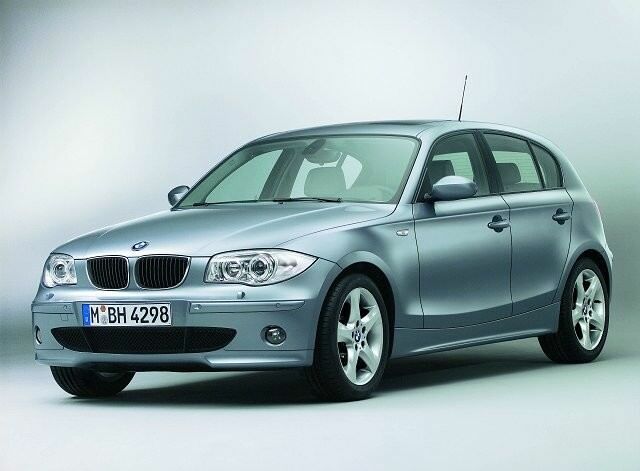 Initially the 1 Series arrived as a five-door hatchback only, but was soon followed by a two-door coupé, three-door hatchback and a stylish convertible. None could exactly be considered practical, and the five-door has no more room than the three-door. In fact, it’s the Coupé that has the biggest boot - 370 litres rather than 330 litres found in the hatchback models. Fold the seats flat and you can increase this to a reasonable 815 litres. However, whatever model you choose cabin space is at a premium, so this is not a car for growing families. As expected with BMW though, all engines offered are great units - whether it is the 2.0-litre diesel (badged as either a 116d or 118d) or the petrol 120i, 118i or 116i. The 116d or 118d are the engines to go for if annual road tax is a consideration, costing only €160 whichever you choose thanks to the EfficientDynamics technology fitted across the range. Trim wise you’re likely to be able to choose from ES and SE specification, the former being a more basic offering. And both automatic and manual gearboxes were available, though the self-shifter is rare on the used market. Thankfully the six-speed manual is an excellent unit in itself. It’s the 118d that is the most appealing, thanks mainly to the low running costs. The 118g/km CO2 figure means annual road tax is a reasonable €160, while later iterations of this engine can achieve up to 4.5 litres/100km - all while producing 141hp. Hatchbacks are more common, but the coupé is sportier and more practical (save for being a strict four-seater). However, they’re rare and all body styles drive the same so choose whichever you like the best. Buy a 1 Series as a practical family car and you’ll be disappointed - the Ford Focus or even an Audi A3 does a much better job. However, if practicality is further down your list than efficiency, looks, image and driving dynamics you’re along the right lines. The engine range may not be huge, but all versions are talented and economical units, while the rear-wheel drive chassis will please purists.